Here is a selection of the electronic journal packages that provide access to the full text of articles most relevant for History of Art. Remember to look at the History Subject Guide under Further History Resources for online collections of journals published in the 18th and 19th centuries. Online journal archive collection of full text scholarly journals starting with the first issues, many of which date back to 1800, but not including the most recent few years. A digital archive collection of core scholarly journals starting with the first issues (many of which date from the 1800s). See JSTOR's online help guide for further information. British Periodicals provides access to the searchable full text of almost 500 periodicals published between the 1680s and the 1930s and covers a wide range of subjects from across the arts, sciences and social sciences. A database of full text scholarly journals in the arts, humanities and social sciences with volumes starting from the 1990s or later. The majority of titles in this collection are from University Press publishers. Project MUSE, founded by Johns Hopkins University Press, is a database of over 380 full text scholarly journals in the arts, humanities and social sciences from over 70 (mainly university press) publishers. A major online archive providing access to the backfiles of periodicals in the humanities and social sciences. A major online archive that makes the backfiles of periodicals in the humanities and social sciences available electronically, providing access to the page image of a growing number of digitized periodicals that are already indexed in the Periodicals Contents Index (PCI). The University has access to Collections 1 and 2 and a selection of 130 titles purchased by JISC drawn from other collections. Box of Broadcasts contains more than 2 million television and radio programmes from free-to-air channels, including thousands of art and architecture shows. Box of Broadcasts (BoB) is an on demand TV and radio service for education. Users can record programmes from over 65 free-to-air channels and access an extensive archive of programmes already available. Users can also create clips from programmes and compile playlists. Please note that you may only access and use BoB in the United Kingdom. For help with this resource, take a look at the BoB FAQs. Victorian Popular Culture contains a wide range of primary source material, mostly digitised in colour, relating to popular entertainment in America, Britain and Europe in the period from 1779 to 1930. There is an emphasis on visual sources and rare printed material including rare books, periodicals, playbills and handbills, posters, prints, scrapbooks, photographs, programmes, pamphlets, ephemera (e.g. ticket stubs, postcards, newspaper cuttings), and songbooks. Includes: 19th Century British Library Newspapers (parts 1 & 2); British Newspapers 1780-1950 (part 3). A major collection of over 3.2 million facsimile pages from 99 national, regional, and local newspapers published between the 1700's and 1950. The collection includes both daily and weekly publications with titles from established country or university towns, the industrial towns of the Midlands and the North, and from Scotland, Ireland and Wales. Newspapers associated with particular political or social movements such as Reform, Chartism, and Home Rule have also been included along with penny papers aimed at a working class and clerical readership. The complete facsimile archive of the Illustrated London News, the world’s first fully illustrated weekly newspaper published between 1842 and 2003. The archive includes over 260,000 pages of text and more than 1.5 million full colour images. Devoted to the study of British culture of the Victorian period, this quarterly journal includes interdisciplinary articles on comparative literature, social and political history, and the histories of education, philosophy, fine arts, economics, law, and science and includes an extensive book review section in each issue. High quality original work concerned with all areas of Victorian literature and culture, including music and the fine arts. Search for academic materials like journal articles, peer-reviewed papers, theses, books, preprints, abstracts and technical reports. When you use a campus-networked PC, Google Scholar will automatically link to the University of York library catalogue and display articles where we have full-text access. When off campus, you will need to select University of York Library in the Settings option (under Library Links). A fully-indexed, cross-searchable database of over 100 dictionaries, companions, language reference, and subject reference works published by Oxford University Press. The major biographical work on the people whose lives have shaped and influenced American history and culture. It contains over 18,000 profiles of men and women of all eras, from the famous and infamous to important but lesser-known figures, and is updated quarterly. Entries are cross-referenced and there are links to the online edition of the Oxford Dictionary of National Biography. An illustrated collection of 50,000 specially written biographies of the men and women who shaped all aspects of Britain's past, from the fourth century BC to the year 2000. Bibliographic databases are generally lists of references to books, journal articles, book chapters and conference proceedings, sometimes in a specific subject area. Some bibliographic resources focus on particular time periods or countries whilst others are more general. They may include an abstract or summary of the material, but in general they do not contain the full text of the publications referred to, although there may be a link to an online full text version if one is available and subscribed to by the University of York. Provides bibliographic records from 1975-2007 covering all aspects of Western art and in all European languages. This database is hosted by the J. Paul Getty Trust and is freely available on their website. Bibliography of the History of Art / Répertoire de la litterature de l'art from the J. Paul Getty Trust covers international literature on the history of art in Europe and the New World. The database surveys the visual arts and material culture from late antiquity to the present. Included are both the fine arts (architecture, sculpture, painting, drawing and prints) and decorative and applied arts (popular art, folk art). BHA / RILA indexes and abstracts over 1,200 journals, as well as books, conference proceedings, essays, exhibition catalogues, selected art dealers' catalogues, doctoral dissertations and microform publications. Abstracts are in either French or English and the thesaurus for data from 1990 is in both languages. Provides abstracts of journal articles, books, essays, exhibition catalogs, PhD dissertations, and exhibition reviews covering all forms of modern and contemporary art. ARTbibliographies Modern provides abstracts of journal articles, books, essays, exhibition catalogs, PhD dissertations, and exhibition reviews covering all forms of modern and contemporary art. The database contains over 400,000 records with more than 13,000 new entries added each year. Full coverage begins in 1974 when the first print volume was digitised, but entries date back to the late 1960s. The main database for secondary information on the history of the British Isles, the British Empire and the Commonwealth from 55BC to the present. Previously known as the Royal Historical Society Bibliography this is a comprehensive guide to historical writing about the history of Britain, Ireland, and the British overseas from 55BC to the present. More than just science! Includes the Arts & Humanities Citation Index, an international multi-disciplinary index with vast subject coverage across the arts and humanities. An especially useful feature of the Web of Science is the citation analysis data – when you find a relevant article, you can follow the links to more recent publications which have cited it. Web of Science provides access to the Science Citation Expanded, Social Sciences Citation Index, and Arts & Humanities Citation Index. For help using this resource for bibliometrics see Bibliometrics: a practical guide. This covers the fields of literature, language, political science and philosophy. An international abstracting and indexing tool for research in the humanities which indexes over 320 internationally respected humanities journals and weekly magazines, as well as quality newspapers published in the UK and the United States. An interdisciplinary bibliography of the European Middle Ages (c. 450-1500), covering art, history, and literature Europe, the Middle East and North Africa. This is an interdisciplinary bibliography of the Middle Ages, covering Europe, the Middle East and North Africa in the period 400-1500. The publication years covered by this resource are from 1967 onwards. Iter is a gateway to resources for the study of the Middle Ages and the Renaissance. It includes Iter Bibliography, an index covering research in all fields on this period. - Iter Bibliography covering research in this period. - Aestimatio which provides a critical assessment of scientific manuscripts and books from antiquity to the early modern period. Follow this link to find our full range of online materials, rather than just the ones directly relevant to History of Art. You can search by subject area or browse the complete A-Z list of resources. The British Library provides access to thousands of theses from UK universities through its EThOS service. Theses are a great source of inspiration for your own research and to see how other researchers have prepared and finalised their work. Explore the EThOS collection to get your creative juices flowing! Use EThOS to search for and order most British PhD theses. You can search the EThOS database without logging in but to order and download theses you must log in and, if a first time user, register and accept the terms & conditions. Theses will be available in a digitised, electronic format, some for immediate free download, others may take up to 10 days to be supplied if they have not been digitised already. There are some UK institutions which are not yet participating in the full open access EThOS service, these are listed on EThOS. You may find that when ordering a thesis from one of these institutions there is a £40 charge for the first digitised copy. The Library’s Interlending & Document Supply Service may instead be able to borrow a copy for you at the standard £2 charge. Make your request in the usual way using the Interlending Service and indicate that you have already searched EThOS. University of Cambridge theses are not available through EThOS, nor can they be borrowed directly through Interlending. 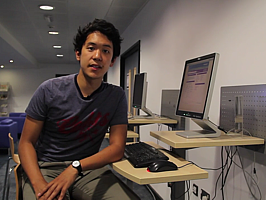 British MA/MSc theses can be requested via the Interlending Service. For help with this resource, take a look at the EThOS help. Visit our theses webpage for more sources to explore. Contains over 100,000 titles listed in Pollard & Redgrave's Short-Title Catalogue (1475-1640), Wing's Short-Title Catalogue (1641-1700), and the Thomason Tracts (1640-1661). Eighteenth Century Collections Online (ECCO) is the most ambitious single digitisation project ever undertaken which offers wide access not only to a century of the nation's intellectual heritage, but also works from earlier periods which were valued and printed or reprinted during the eighteenth century. A library of over 180,000 eighteenth-century printed books, with more than 33 million scanned facsimile pages. Each title has a full citation record from the English Short Title Catalogue and is fully searchable - including full-text and illustrations multi-disciplinary. A research resource for all disciplines. Provides access to facsimile editions of almost 100 periodicals from the 19th century focusing on women, sports and leisure, children, and humour and satire. The collection is mainly based on the repositories of the British Library and the National Library of Scotland. This collection over 20,000 19th Century British Pamphlets provides online access to some of the most significant collections of this type of material held in UK research libraries, and gives a valuable an insight into the key political, social, technological and environmental issues of the time. The digitisation process is ongoing and new collections and pamphlets are still being added. Aims to index all printed works published in Britain, its colonies and the United States of America, all printed works in English wherever published, and all translations from English, from the beginning of the nineteenth century to the end of the First World War. It brings together as one cross-searchable database NSTC Series I (1801-1815), Series II (1816-1870) and Series III (1871-1919), first published by Avero Publications between 1983 and 2002 in print and on two CD-ROMs. Over 60,000 images of original manuscripts and printed material 1492-1962 from libraries and archives around the world. This collection of manuscript, visual and printed works gives an insight into the English abroad c1550 to 1850. The primary material includes letters, diaries and journals, account books, printed guidebooks, published travel writing, maps, paintings, sketches, and architectural drawings. Secondary sources include introductory essays; a searchable, full-text version of John Ingamell’s Dictionary of British and Irish Travellers in Italy, 1701-1800; a selection of digitised source material from the Brinsley Ford Archive at the Paul Mellon Centre, London, and an indexed collection of hundreds of modern photographs of Italy, providing a detailed visual source of all the historical sites, palaces and streets visited by tourists. The Parker Library on the Web is an interactive, web-based workspace designed to support use and study of the manuscripts in the historic Parker Library at Corpus Christi College, Cambridge. It gives access to almost 200,000 manuscript page images, page images of secondary sources, manuscript descriptions, and extensive bibliographic data. Bibliographic records are linked to page images wherever possible. The manuscripts date from the 6th to 16th centuries and include works on various subjects such as theology, music, history, travel, alchemy and politics. A digitised version of the newspapers, news-books, pamphlets, ephemera, and other early forms of newspapers from the Reverend Charles Burney Collection held at the British Library. The collection includes almost 1 million pages from around 1,270 titles and while the majority of these originate from London, there are also some English provincial, Irish and Scottish papers, and a few examples from the colonies. A collection of full text archives of American newspapers with page and article facsimile images. The University has access to: Atlanta Constitution; Atlanta Daily World; Chicago Defender; Chicago Tribune; New York Times; New York Tribune; Washington Post. Early American Newspapers gives access to the full text of over 1200 newspaper titles from across the United States published between 1690 and 1922. Nexis UK is a major source of global news and business information. It provides full-text access to over 34,000 publications, with more than 12,000 news sources including UK daily and regional newspapers, current affairs magazines, and professional journals. Updated daily; back issues archive varies by title. Nexis UK also includes 80 sources of company information, plus thousands of biographies of government officials, politicians, celebrities, investors and business contacts. The Financial Times is not included in any preselected groups of sources within Nexis UK, e.g. UK Newspapers etc. The Financial Times can be searched on its own or combined with other sources. To search the Financial Times on its own go to the Sources tab and use the Find Sources options. The Sources tab will also allow you to combine the Financial Times with other selected sources e.g. UK Broadsheets. Search the Nexis help on "combine sources" for further information. For further information regarding the Financial Times, see Finding Financial Times articles on Nexis UK. For help with Nexis UK, take a look at our Quick Guide. Please ask for help if you cannot find what you need. 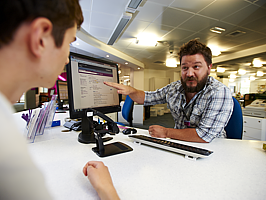 Remember that you can use the Library's Interlending service to get hold of materials that are not available within the Library's print and online collections. YorSearch is the place to look for books, journals, and other materials held by the Library.